Penny Brohn created a remarkable legacy. She helped to give birth to The Bristol Cancer Help Centre. The work done there has helped many people to develop their inner strength and improve the quality of lives. It is now called Penny Brohn Cancer Care. As Dr Rosy Thomson says in her book Loving Medicine, the Centre was born out of pain. Penny discovered a cancerous lump on her left breast in the autumn of 1979. An operation under local anaesthetic produced bruising, bleeding and left part of the lump behind. Doctors advised an immediate mastectomy, but she felt that full recovery depended on more than amputating her breast. Penny became convinced that her illness was the result of her life-style. It was a disease of her whole being, rather than being confined to any single part of her body. She eventually met Pat Pilkington, Canon Chris Pilkington and Alec Forbes, a physician. The four people combined their talents to open the Centre in 1980. The Centre was then based on three key ideas. The body, mind, emotions and spirit are interrelated. The improvement in the health of any of these will improve the health of the whole person. The belief that where there’s a will there’s a way. The Centre believes in a holistic philosophy. The Centre encourages patients to assume some responsibility for their own health. The Centre teaches and practises a life-style designed to prevent cancer occurring or recurring. The Centre educates and informs patients about safe and gentle therapies they can use to counteract disease and enhance health. The Centre is a non-profit-making organisation that is available to everyone. Holistic meant what it said. Far from turning on conventional medicine, the staff at Bristol encouraged people to participate in choosing their own particular treatment. The Centre attracted national attention and moved into a new building at Grove House, which formally opened in 1983 by the Prince of Wales. Penny’s health was also improving at this time. 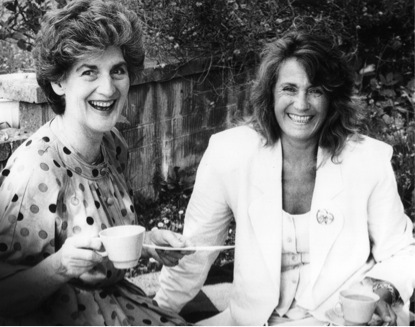 During the 1980s she and the team provided inspiration for cancer sufferers across the world. Then came a terrible setback. The Lancet published a report sponsored by two cancer charities. It said some patients who attended the Centre for treatment were twice as likely to die prematurely from the disease. Penny, the Centre’s team and the patients who had been interviewed threw themselves into refuting the report. The report was eventually proved to be erroneous. This resulted in a public apology. It also led to new guidelines being drawn up by the Charities Commission concerning the funding of such medical research. Penny Brohn Cancer Care moved to new premises in 2006 and continues to help people to change the way they live with cancer. It provides them with practical tools they can use to regain control of their lives. The aim is to enable people to live well with and beyond cancer. This includes providing a combination of physical, emotional and spiritual support. It comprises a range of complementary therapies, lifestyle information and self-help techniques. Penny lived many years beyond the initial prognosis. During the 1990s, however, she suffered a spinal bone tumour. After deciding to have conventional surgery, she continued to work but also spent lots of time in Crete. She lived there until her death in 1999, twenty years after the original diagnosis. Penny has left a considerable legacy.